proudly presented by Oma333, Sing a song fighter, Rönnells Antikvariat and in collaboration with Maternal Voice. Entrè 100:-, biljetter finns på Rönnells Antikvariat. Dörren öppnas kl. 19, konsert kl. 20. 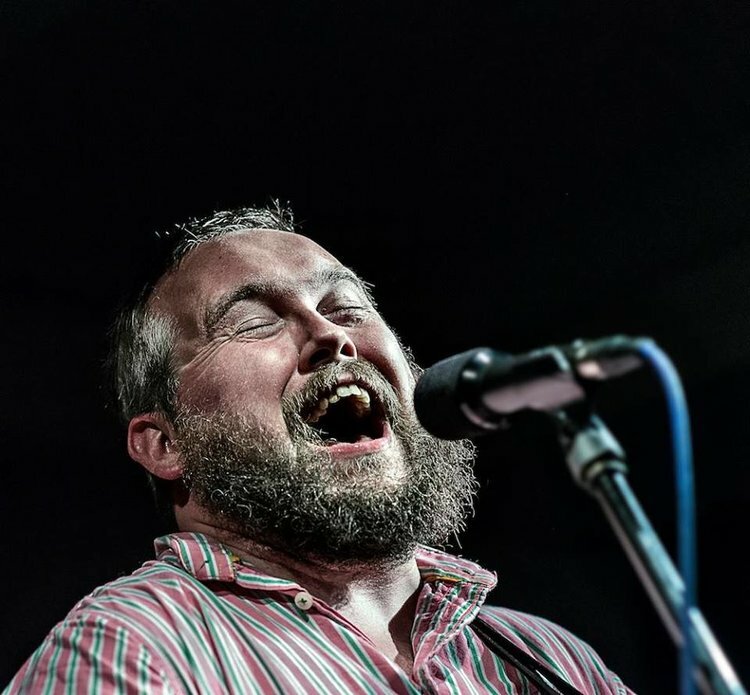 Rising up from the bed of the River Tyne, a voice that crumbles and soars, that is steeped in age-old balladry and finely-chiselled observations of the mundane, Richard Dawson is a skewed troubadour at once charming and abrasive. His shambolically virtuosic guitar playing stumbles from music-hall tune-smithery to spidery swatches of noise-colour, swathed in amp static and teetering on the edge of feedback. His songs are both chucklesome and tragic, rooted in a febrile imagination that references worlds held dear and worlds unknown. Both live and on record Dawson is a barrage of musical expression and personality. A shambling exterior, amidst tales of pineapples and underpants, ghosts of family members and cats, his stage presence is at once inviting and awe-inspiring. The visceral power of his voice against the lurching modality of his guitar lines conjure false memories of Tim Buckley and Richard Youngs duetting with Sir Richard Bishop and Zoot Horn Rollo. There is a rawness to the music that embodies timeworn singing traditions – the fire and pestilence gait of the Sacred Harp singings, the fractured call and response of the Gaelic Psalms, the unbridled power of Mongolian throat singers – its power tempered by intimacy, flecked with human emotion anchored by a sense of place. Like a good folk tale, there are twists in the tapestry he weaves, the everyday details breaking through – be it cans of Castlemaine XXXX or caesarean sections – these are yarns of a Northumbrian childhood, misremembered, overheard, full of death and trauma. This is not a folk record, but it shares something with the epic Appalachian ballads, or a full throated Methodist hymn – tales sung to ward off the misery of the everyday, to transport and transcend, one moment tender, one moment violent – this is music to alter our reality.